See? I told you it was cute! 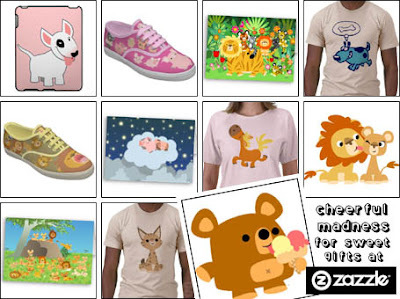 At the Cheerful Madness Zazzle shop you can buy t-shirts, shoes, cards, stickers, mugs, mousepads, keyrings, magnets, iPhone cases, and much, much more! All of which are adorned with some seriously cute characters and designs for your kawaii loving hearts! But don’t just take my word for it, head on over and have a look for yourselves!